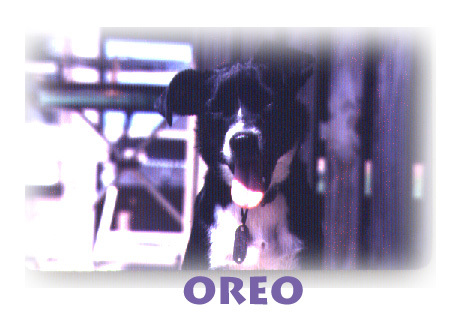 I once had a dog named Oreo who really seemed to leave a mark on my life. She lived from 1976 until 1990. I got her while in college. A sculptor friend was furious that a neighbor of his had left her nursing dog and eleven puppies outside – and without food or water – while she was gone for the weekend. He decided to give all of the puppies away while she was gone. I took a small one and named it Oreo. Oreo was a mutt. I guess you could say she was part beagle, part terrier and who knows what else. She was black and white (obviously) with short hair and later developed an under bite which made her bottom teeth stick out from her muzzle. We never could figure out which she was more of – ugly or cute. She was always under your feet and as a result, a friend accidentally stepped on her front paw, breaking it. Oreo was still a puppy and the doctor put a cast, supported by a spoon, on her paw. Oreo hobbled around with the cast on and learned at an early age how to win sympathy from humans, especially young women and little girls. One day while watching a parade go by near my house, I noticed Oreo off by herself in the crowd of people; She was limping on one front paw and receiving a lot of attention from a little eight-year-old girl who was petting her and saying, “Mommy, look at this poor little dog – it probably doesn’t have a home…” I called Oreo who didn’t even look my way. After the little girl left, she came back to where I was and I noticed she was walking fine. She was a very intelligent dog and really liked her independence. She had full run on campus (she wouldn’t have had it any other way) and probably knew more people than I did. She wore a bandana around her neck which she loved – it made her feel really dressed up. Despite her beagle-size, she was also often the alpha leader for other dogs who seemed to follow her around. She was usually coy with them and acted like she didn’t want anything to do with them. I later moved into an old Victorian house with five other guys. One of my roommates had a small black terrier with wiry, black hair. He was about Oreo’s size only MUCH uglier. He looked like a little banshee. His name was George. Oreo and George developed a deep friendship. Upon graduating, I moved back to my hometown, got a job in a photography/graphic design studio, and got an apartment in a very affluent neighborhood. Actually, it wasn’t a high paying job – I just found a neat garage apartment on a large estate that was really what you would call a carriage house. My parents lived about 3 miles away. One day while at work, I received a phone call from my mother. She said that Oreo had arrived at her house with a pack of dogs in tow. She described some of the dogs – a chocolate lab, a golden retriever, a doberman pinscher, a collie, and two miniature schnauzers – and I was immediately in shock: They were all the dogs that belonged to my landlord and rich neighbors! I left work and rushed over to my mother’s house. On the way, along a busy avenue, here came Oreo (with a big smile on her face) and her pack of new found friends and devotees. It was a humorous sight. And even more so after I got them all packed inside my VW bug for the return home. Oreo’s field trips continued and I occasionally had to search for my landlord’s chocolate lab when I noticed him missing. Not long after I had moved, I noticed that Oreo was pregnant which puzzled me as I was always very careful to keep her inside while she was in heat. Counting back, I figured that she had gotten pregnant while I was still at school. Thirteen black and white wiry-haired puppies confirmed my suspicions. I was worried about Oreo being a mother – she was so independent and I figured she was going to see them as cramping her lifestyle and I was assuming I would have to find a surrogate mother. Not so – she was a GREAT mom! About a year later, I was pretty frustrated with the advertising/graphic design business (no room for personal creativity) and decided to take a break and a trip out West with my girlfriend. She got a job in Yellowstone National Park as a waitress and I got a job as a dishwasher in the Huntley Lodge at Big Sky, Montana (a ski resort). My girlfriend and I were basically sixty miles apart which is a VERY long way during the dead of winter. We exchanged use of the car periodically and managed to visit each other every few weeks. When the ski season was over, I decided to hitchhike down to Yellowstone and get a job. Oreo lifted her paw and getting rides was very easy thanks to her. I got a job at Old Faithful in Yellowstone. I was able to sneak Oreo in (employees weren’t allowed to have pets in the park) and we got a small cabin near the edge of the forest. The West was a pretty interesting experience for Oreo. She had never seen snow before and loved it. Also, every morning in Yellowstone, there would be bison out behind my cabin. Oreo didn’t know WHAT to think of them, so she just stood and stared, shivering with awe. She also loved to chase marmots and they loved to play the game of ducking into one hole and reappearing from another. It drove Oreo crazy but she had fun. Oreo’s time in the park was only about two weeks. I was too worried about getting caught. A guy who worked with me in the kitchen at Big Sky – Toothless John (I called him that because he had no front teeth) – was now working as a cook at The Stagecoach Inn in nearby West Yellowstone, Montana. John was not exactly a very social person – he was pretty much a modern day mountain man and spent a lot of time up in the wilderness living by himself. He panned for gold and was also a horn hunter, a somewhat suspicious vocation. Still, I liked him – he was a real character and very funny. Without seeing Oreo, John had told me no problem about keeping my dog with him in West Yellowstone until I was able to find a house. Over the next few weeks, John took Oreo horn hunting with him. Horn hunters are usually of questionable character (not necessarily excluding John) and are often accused of killing deer, elk, moose for their antlers rather than the legal way of collecting it from winter kill or other forms of natural death. Antlers, in ground, powdered form, are sold in the Orient as an aphrodisiac. On these day trips through the woods, John told me Oreo would freeze when she spotted elk, deer, or buffalo and watch with intense interest. I later left Montana with a need to be closer to the ocean and a desire to get a “real” job. Oreo and I left one June morning for a flight back to Florida. There was six inches of snow on the ground only to arrive in Florida for 100º heat! Poor Oreo walked around for a week with her tongue hanging out. Christmas trees. Another funny thing she did. She loved Christmas trees. The first time I noticed her doing this was my last year in school. I found Oreo – very slowly and quietly – circling the tree with the branches lightly scratching her back. She looked up at me briefly with a what-are-you-looking-at look then proceeded with her slow, deliberate, stalking movements and staring off into space. Weird, Oreo…just WHAT are you doing? I don’t know if it was the soothing prickliness of the tree’s needles on her back or whether she was fantasizing that she was a lion in the bush ready to make a big kill. This behavior of hers became as much a part of Christmas as gift-giving and turkey dinners. Oreo grew old and her love and fun stories are innumerable. When I moved to the Caribbean on a job offer, she was too old to travel with me. I left her with my mother who loved her just as much as I did. Oreo also had the companionship of Maggie, my mom’s miniature schnauzer. Maggie had been there when Oreo had pups and you could tell she wanted so much to be a mother. She wanted to nurse them but Oreo would have nothing of it. Maggie had also once been taken along on Oreo’s “adventures”. Once again, Oreo enjoyed her alpha status. Maggie died and strangely Oreo did not miss her. I think she really wanted Mom’s full attention. Oreo now often lost control of herself physically. Her little body would just sometimes give up. She had developed problems with her hips and some mornings was in a lot of pain and my mother would have to carry her out to go to the bathroom. Although she was in a lot of physical pain, her mental stamina was still there. Mom related to a morning when she was in tears watching Oreo go to the bathroom, walk a little bit, and collapse; then she would see a squirrel (that she loved to chase), get up, start to run a few feet, only to collapse once again. Mom said that she would have put her down at that point, however, Oreo’s spirits were so good that her physical incapacities seemed as if they were no big deal – just a small obstacle. Time went on. Oreo had good days and bad days. I received the dreaded letter from my mother. 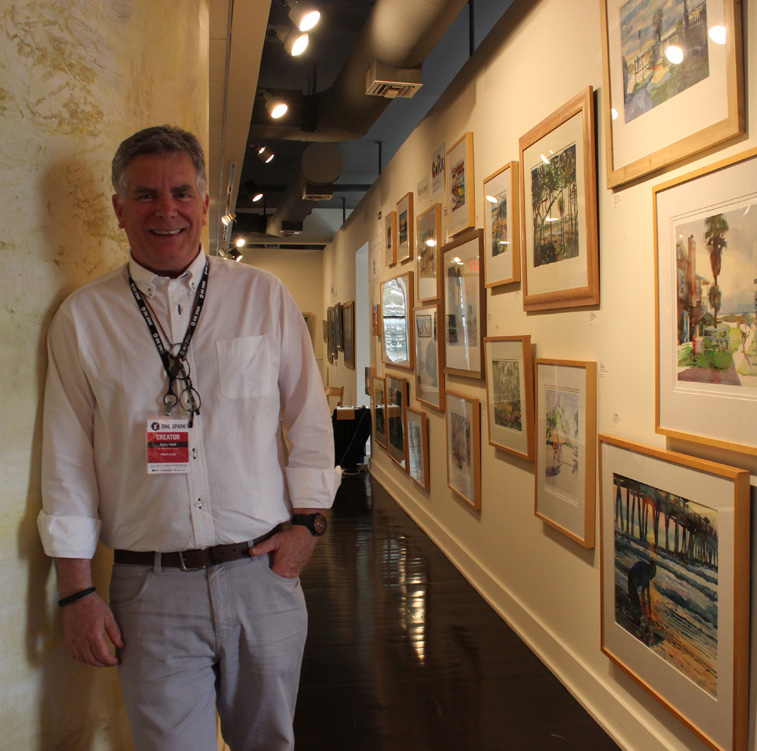 Rather than call me in St. Croix, she thought it better to write a letter to break the news. She finally decided to put Oreo to sleep. Oreo was in really bad pain over the last few days. Mom gently wrapped her in towels and put her on her favorite pillow that she slept on – in the back seat of the car. They drove to the vet and on the way, Mom stopped at Church’s Fried Chicken for a last little treat for Oreo. She adored fried chicken. They drove on to the vet’s office. Trips to the vet were usually no big deal for Oreo – she loved them. Everyone always thought Oreo and her happy perkiness and tail wagging at the doctor’s was very unusual behavior for a dog. Today she just didn’t have the energy to be so perky and excited. In the parking lot, my mother got into the back seat with Oreo and fed her the chicken breast and quietly pet her while she struggled to eat it. Mom began crying and Oreo looked up at her as if to say, “I know what we are doing and I don’t want you to cry about it. It really needs to be done. Believe me, it’s time… I love you very much.” Mom took Oreo in and stayed with her, petting her while she quietly fell asleep on the doctor’s table. Mom took Oreo’s body home and with the help of a very good friend, buried her where she probably wanted to be – among the sand dunes and sea oats of Atlantic Beach. I see dogs all the time that remind me of Oreo. I have such fond memories of her and hope one day to put them all down – much as I have started to do here. I fell in love with George Rodrigue’s paintings of Blue Dog. Blue Dog was actually Rodrigue’s beloved mutt, Tiphany, who had passed on years ago. Tiphany appeared in his dreams inspiring a large series of paintings based on a spirit dog named “Blue Dog”. Oreo often appears in my dreams as well. I think probably because we never got to say good-bye officially. We are usually so happy to see each other. One memorable dream involved our old house on the St. Johns River where I grew up. A house where Oreo once sensed ghosts [another long story]. In the dream, I am walking around inside, glad to be “home” and talking with my mother whom I haven’t seen in a while. I marveled at what she had done to the kitchen – the walls were painted with abstract forms and colors and covered with gold leaf, giving the entire room a feeling of being inside of a Gustav Klimt painting. There is a scratch at the back kitchen door. I open it and there is Oreo. She is covered in sand and has a few grease spots on her back as if she had got them from the underside of a car. We hug as tears stream down my face. Then I am usually awakened by an outside morning noise and realize it is only a dream. I try to fall back asleep and return to Oreo but it never works. It’s probably that little streak of independence in Oreo. We lost our beloved dog name OREO just one day ago. She was 17 human years old. The pain hurts so bad. Oh God, please heal the pain. We will miss her forever. Bob, sorry to hear of your loss. Losing a beloved pet is always tough. There is nothing I can say other than that I’ve been there and I know what you’re going through.